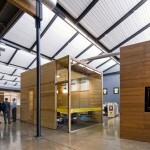 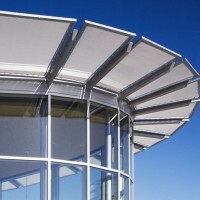 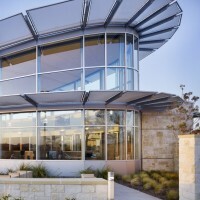 Jackson & McElhaney Architects designed the Ben White Branch of the University Federal Credit Union in Austin, Texas. 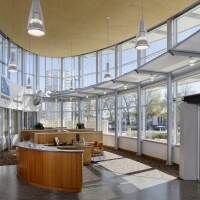 The UFCU Ben White Branch was designed to be a model of the “green” mission of the credit union. 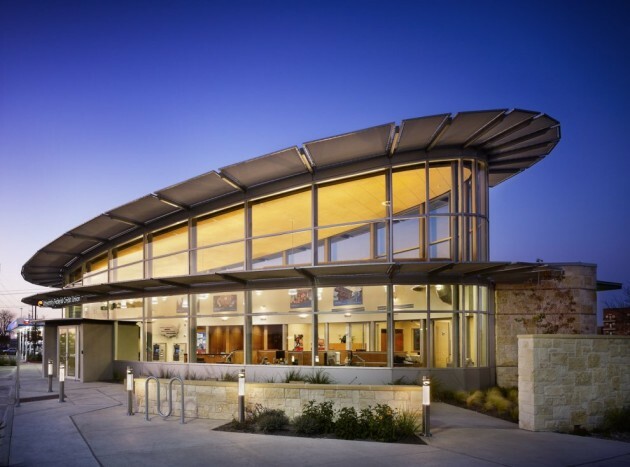 The building accomplishes this through its site-specific approach that addresses issues such as orientation, type and location of glass, shading, landscaping, etc. 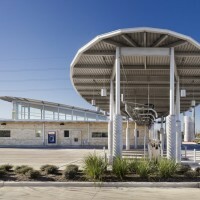 All of these considerations help make the facility a comfortable branch credit union. 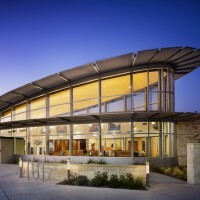 Customers enter through a landscaped outdoor courtyard into an open, airy and inviting lobby, which is organized to facilitate customer comfort and efficient use. 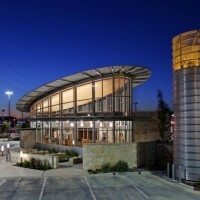 Careful consideration of sustainable construction materials and methods garnered the project a 5-Star Rating from the Austin Energy ® Green Building program, which is the program’s highest possible rating. 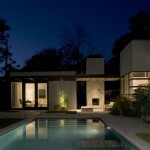 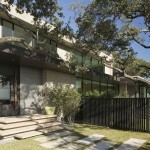 Visit the Jackson & McElhaney Architects website – here.